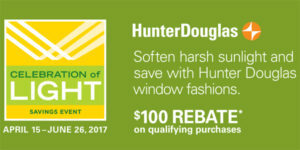 If you’ve been putting off getting new window treatments, now’s your chance to buy, because Hunter Douglas is offering rebates on select window fashions. 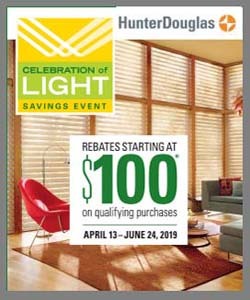 Before you buy, remember that the Celebration of Light Savings Event does have limitations and restrictions, so please see a trained Windows, Walls & More sales associate here in West Bloomfield for details. Now through June 26, you can select from three premium, energy-efficient window treatments designed for homeowners who like the very best. It’s easy to get your rebate. After your products are installed, simply mail your promotion form and a copy of your receipt to the address provided. 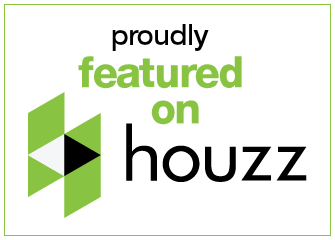 In just a few weeks, Hunter Douglas will send you your rebates in the form of prepaid reward cards. Check Out This Motorized Shade Savings Event!